Location is perfect and very near to Central rail station. It has the value of its price. It was cleaner than I expected. The room is very clean, the shower facilities are great and the location is really great, just behind the Wien hbf and there’s Billa near by, super convenient. The hotel is extremely close to the Vienna HBF. If you are just travelling through or you need to be close to the main train station, then it is the best hotel on low budget to stay at! Clean and comfortable! I liked it very much! 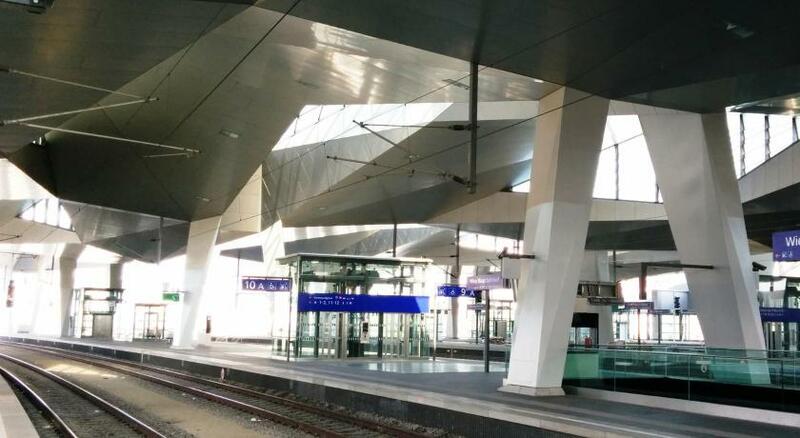 The a&o Wien Hauptbahnhof is located right behind the new Vienna Main Train Station, which will be fully operational as of 2015, and offers you rooms with attached bathroom with parquet flooring, a rooftop bar with panoramic views and a buffet breakfast. High-speed WiFi connection is available throughout the property free of charge. 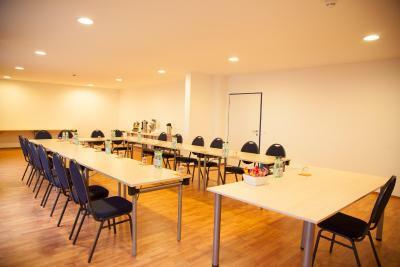 A games room with billiard tables and a playroom for children are also offered at a&o Wien Hauptbahnhof. 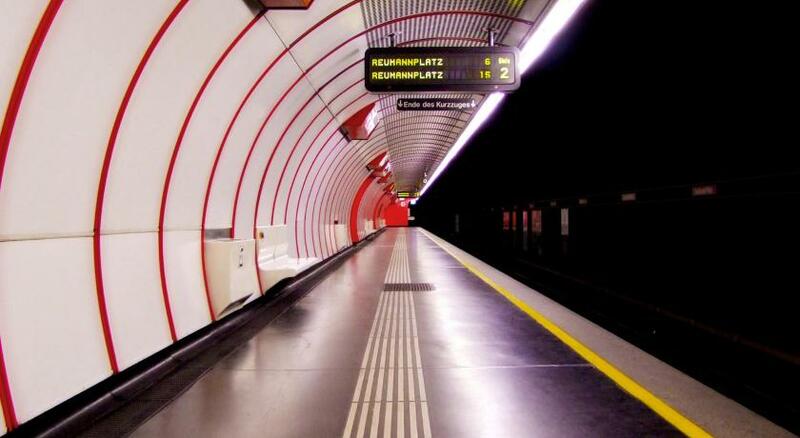 Within a 5-minute walk you can reach the Südtirolerplatz Metro Stop. From there, Saint Stephen's Cathedral in the very heart of Vienna is just a 7-minute ride away. When would you like to stay at a&o Wien Hauptbahnhof? Room with a private bathroom includes free toiletries, a hairdryer and a TV. This room has a private bathroom with free toiletries and a hairdryer. This is a single bed in a dormitory room with bathroom. Please note that bed linen and towels are not included in the rate for beds in dormitory rooms. Guests can rent towels and bed linen at the property (3.5 EUR for bed linen for 1 person and 1 EUR for 1 towel) or bring their own. The A&O Hostel Vienna is located near the Altstadt, named a World Heritage Site by the UNESCO. From here you can easily visit the Wiener Prater, St. Stephen's Cathedral and the Schönbrunn Palace. Vienna's nightlife pulses beneath the underground – in the so-called "belt" numerous bars and clubs are to be found, something perfect for everyone. 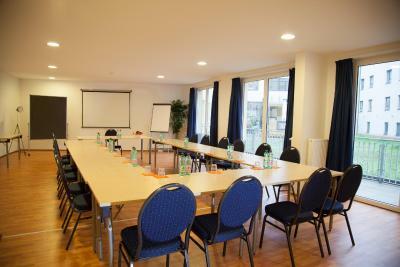 The A&O Wien Hauptbahnhof opened in March 2013 and offers modern rooms in various categories. As newly built house guests can enjoy the familiar A&O standard guests of the hotel part with single, double and family rooms on a 2** hotel level. The hostel part offers shared rooms from 4 to 6 beds. We also provide all visitors with a rich All-you-can-eat-breakfast! House Rules a&o Wien Hauptbahnhof takes special requests – add in the next step! a&amp;o Wien Hauptbahnhof accepts these cards and reserves the right to temporarily hold an amount prior to arrival. a&o Wien Hauptbahnhof accepts these cards and reserves the right to temporarily hold an amount prior to arrival. Please note that bed linen and towels are not included in the rate for beds in dormitory rooms. Guests can rent towels and bed linen at the property (3.5 EUR for bed linen for 1 person and 1.5 EUR for 1 towel) or bring their own. Queue on checkin, necessity to fill blanks with personal information, which could be taken from booking.com, extra price for linens. Location is very good, 200 meters fro Wien Hbf. Better assign bed to each customer. Really close to the central station. This is my worst experience ever, here are the reasons: 1. The payment doesn’t include bed sheet?? And if you want to have a bed sheet you need to pay extra money in the front desk.. Come on who will bring a bed sheet when they are traveling?? So you have no choice but pay more. 2. A&O charged me twice... So when I booked the hostel online, it charged me online. And then the staff at the front desk charged me again.. I mean, it really made me unhappy. And they just returned my money without any compensation. Not so clean as it should be. Wending machine was expensive. Had to pay extra for blanket, bedspread, pillow cover and towel. Not well maintained bathroom exist was not working. Not well ventilated rooms. No charging points near beds. Worst experience with staff. In the dorm there were only few socket and far away from beds so it was impossible to charge your phone. Linen is extra charge. Hostel is really big but clean and spacious. In the dorm there was plenty of place! Really close to Main Train Station, 25 mins walk to the city center. Hostel extremely noisy. The doors slam and make a lot of noise, the mattresses are also noisy. Guests scandalize until 2 am and no employee calls attention or cares about the well-being of other guests. Also, it has a table inside the room and guests used it for dinner! I was trying to sleep and there was always someone eating inside the room, which is stuffy, and smelled very strong of food. I think the hostel should prohibit food in the room, since there is a kitchen available for guests. The room is quite simple furnished. Very good location close to the Hauptbahnhof (but not so easy to find unless using google map). Big quiet room. Fast internet connection. Easy to book airport transport from hotel.